Just like the quote above, giving poor directions will usually lead visitors down a confusing path. When it comes to directing visitors on your website, one of the most persistent accessibility issues is the dreaded “Click Here” or “Read More” link – known as Link Purpose (In Context). In fact, telling users to “Read More” can often result in less clicks for assistive technology users. There is a concept that really get to the heart of this issue. It’s context. Let’s look at Yogi’s quote again. In the context of giving directions, those instructions aren’t very helpful, are they? Context should allow your user to determine the intent of the link is as it stands alone. Think of your link text as a signpost on the information highway. If all the signs read the same, they will not be helpful — let’s think of an exit sign. After veering off the road a couple of times and not actually reaching your destination, you’ll return to the road and keep trying only for so long. Then you’ll be upset, confused, or even angry the rest of your trip. Needless to say, you won’t ever travel that route again. Back to your pages. Now visually, “Click Here” text usually might make sense; there are clues that allow your visitors an understanding of where the link will take them. Proximity of the link to a news article is a pretty typical example. But let’s take this a step further. 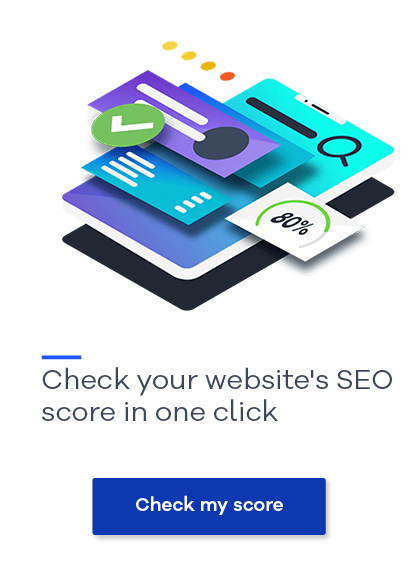 A user who relies on screen reading technology can navigate a web page by generating a list of links, then scanning that list to determine where they want to go next. What if all those signposts read the same? Yep. Confused visitor. I’m sure by now, you’re saying, “Okay, I get it. But now what can I do about it?” There are many different solutions to address this issue. It doesn’t need to be a technical solution; sometimes it’s just being thoughtful in how you create the link. But then there are also some interesting ways to let your technology and the code do the work for you. Remember that you’re creating signs to guide your users down the correct path. Links are really what makes the Web, well, the Web. Register for the webinar on Thursday, December 3, to find out how to increase your web team’s awareness and create links that work as intended. Links that get their users to the proper destination. Links that function well for users of all abilities.